Many years ago I worked with a large and well known commercial real estate firm. Three weeks in i had decided it just wasn’t for me and not one to leave things in the air I resigned that day when all of the staff were out of the office and the receptionist was ordered to walk me off the premises. She didn’t though and we spent a few hours chatting. One of many stories I’ve gathered in my years in Property Management. So only a few months ago when a client with residential properties that I manage for them threw me the keys of their vacant office suites and asked if I’d try to lease them, I was so very tempted to say no and could have easily. I thought it was beyond me and the thought of not being able to deliver for them was always at the forefront of my mind. I was completely honest in telling them that I had no idea what I was doing but they still insisted that I give it a go and use their property for experience. Absolute dream clients, I don’t know if I’d be as trusting or generous! But armed with some sage advice from friends in the industry, a great advertising budget and several inspections it is now leased and being managed by me. Despite my initial hesitation I am really happy that my clients are thrilled with the result, Ultimately I really wanted to get it occupied for them and to be able to continue working with these clients. They maintain that they gave me the opportunity because if I translated the effort I put in with Residential that i’d get a quick result, i’ll always suspect that they did it to help my very new business get off the ground. What a good learning experience though. The point though is that once I’ve decided it was happening it all happened and fast. This experience I think comes from my working motto “just do it” (unfortunately shared with Nike). For years the words just do it was plastered to my computer screen but simply put my motto is to not procrastinate and just get on with the job. It’s really helpful to rip the band aid though and “Just do It” when you have to make a tough phone call and have the less than ideal conversation. Just doing it though, combined with my email Inbox O.C.D comes across to my clients as good customer service and that’s good enough for me. Working this way can get you through volumes of tasks quickly and that’s very important in property management, so 2019 more than ever will be a year of not procrastinating and just getting on with the job at hand. Not a resolution, but a renewed push to JUST DO IT when you decide to do something. At the other end of the spectrum, saying No to things that don’t make you happy, are not rewarding or worthwhile is a whole other topic and one I feel strongly about as well. Maybe needs it’s own blog entry as more people could be helped by just saying no from time to time. This late in the year it’s now most likely that a lot of property owners, unfortunately, will be seeing their properties sit vacant over the Christmas period until significant numbers of prospective tenants hit the streets in mid-January and onward. This is not from a lack of trying as seeing first hand, properties being offered with incentives such as rent-free periods and some significant rent reductions offering good value to tenants that are willing to move just before Christmas or start their year off with a pre-planned move. I’m also noticing properties listed for Lease with multiple agents, prospective tenants notice that too and sometimes find that a bit off putting. Come 2019 several new high density developments are set for completion and continuing development will be adding onto an already constant and ample level of supply. Tenants typically have the rental market in December but mid to late January and into February typically does see an increase in demand for properties. My thoughts are that we’ll see a slower than usual January with only properties with the best offerings and value for tenants being snapped up first. Several suburbs are being eyed as the ones to watch in 2019 for both an increase in rental demand and interest from investors, touching on a few of these areas where we manage property there are also other suburbs being closely watched on the North Shore, areas such as Brookvale and Millers Point. What do I see ahead for the New Year? Influx of first home buyers which could spell and increase in investors as well as tenants moving to purchasing in a down Sydney market. A third of first home buyers are said to be rent-vesting instead of buying their first home. As the New Year and its cycle take us where they will, there’ll always be the need to navigate through new legislation, ensuring compliance and working through an ever-changing rental market and I’ll keep on blogging about it all. Next year i’ll be bringing you some new blog posts regarding Depreciation Schedules, yields and return on investment and hope to have some guest bloggers on board from the world of finance and buyers’ agents in the New Year as well as well as some worthy content to my clients in my E-Newsletters. What do you want to read about though? If you have any suggestions as to what you’d like to read about in 2019 feel free to reach out, I am always open to thoughts and suggestions! Within the last week I’ve read conflicting reports about the state of Sydney’s rental market one quoting vacancy rates are down and the other stating the opposite. So what am I and fellow Property Managers seeing on the front line? 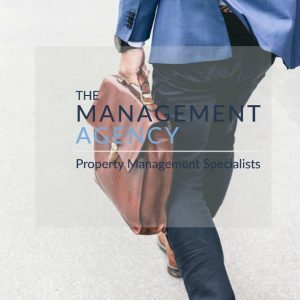 Amidst the doom and gloom of a weakening Auction Clearance rates and Median sales prices, for Property Managers of late it’s been business as usual when considering this time of year typically does slow down in terms of availability and lettings. And most recently October 2018 upwards to 2.8%. So whilst this is a fluctuating market we are at the end of what is typically known as a property boom especially in the Sydney and Melbourne markets. Despite all of the negative media attention (doom & gloom) I remain quite positive about the assets we manage within Sydney. There is always a fair bit of hype surrounding vacancy rates but look at the supply that’s coming to the rental market but remembering that the type of supply is not typically suited to all. We still have tenants wanting character filled terraces and art-deco style apartments over new, off the plan high density housing. Speaking with other Property Managers they feel that properties that good quality properties with attractive features are leasing and especially where the rents reflect the market. In terms of rents I personally haven’t carried out any increases or tested the market when re letting simply because the market isn’t reflecting an increase. In these cases, it’s seen that minimising vacancy is the highest priority with clients wanting to meet the market instead of testing it. From my conversations with other agents, many are not reviewing or recommending rent increases for current tenancies. In many cases, first hand and as discussed with other Property Managers, properties can take a week or two longer to lease but it’s not all about dropping rents. Investors can still thrive in this market where logical decisions are being made and the agent does all that they can to ensure every opportunity has been explored. Just as it is in the sales market, it’s not all about putting a property on the market and opening the door, agents must work harder and go out of their way to achieve results. A good test of the Sydney rental market and vacancy rates will be in the New Year where rental properties are typically in higher demand, we just need to get through the festive season and later judge if 2019 can bring about any rent increases, otherwise it might be best not to rock the boat.